Google AMP. Here’s why your brand should start optimizing the website. Google AMP. Here’s why your brand should care! We know that slow loading web page is as irritating as the friend who sees your Whatsapp text and never replies! You are quick enough to quit the page that takes forever to load when you have some important task. As mentioned in our earlier blog, the page loading time of your website does play a role. But now, Google AMP project is all set to offer you a faster browsing and surfing experience on your smartphones! Google had announced this project in 2015. 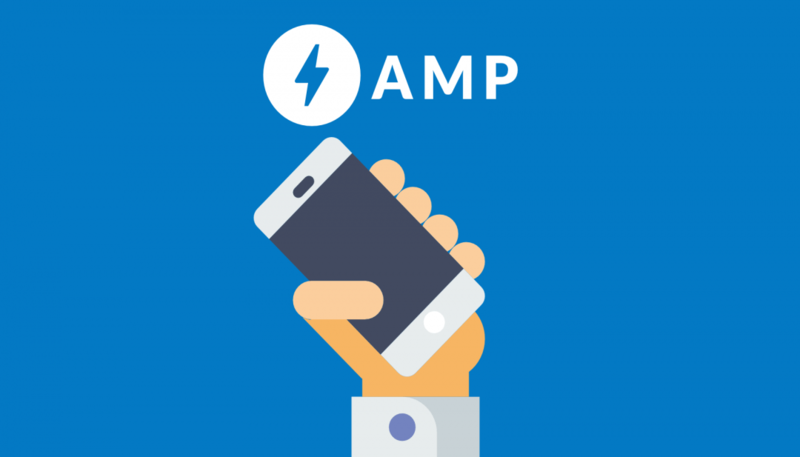 AMP means Accelerated Mobile Pages. This is an effort in optimizing the websites for a faster and better mobile experience. Considering that India has around 350 Million mobile internet users (IAMAI) it becomes vital to have the mobile sites efficiently working. Ignoring the majority is always a huge mistake! For the pages to load easily, AMP will be minimizing the technology used to create the pages. It simplifies the site coding. When AMPized, the pages will load four times faster than the regular speed. AMP project will be having their own servers and web pages will be served from it. When the device needs to be connected to each individual server, the web page takes some time to load. That won’t be a problem when AMP is applied. When a webpage uses Google AMP, the search results will show a small tag near the link saying AMP. It makes easy for the user to choose the link to click on. Google will also display a carousel of stories on top of the results that are using AMP. First thing first – AMPized pages will use Eight times less data. As a user point of view – Nuff said! Less data usage and 4X loading speed is a major reason to choose a specific page (Ofcourse, provided it offers the relevant content). When Google works on the rankings, it considers both – traditional as well as mobile search engine. Though AMP is not affecting the SEO as of now, once the pages start implementing AMP, it certainly would. So even if your page has a great content, the user might choose another just because the carousel looks good and easy to scroll. Google AMP sites will also get a major preference in the local search results over the traditional ones. So, it does affect your search engine ranking. How to get it for your website? At the moment, there are a few challenges in fully implementing the AMP for the websites, so there’s an option to have a partial AMP – Keeping the standard format as well as AMP format. This will enable the website to have functionality as well as AMP benefits. However, if you want to develop a site from scratch, discuss it with your coders and get on it. It would be great because the site can be built with fewer resources. However, it won’t offer full functionality. Google has introduced a tool where you can check if your web page is AMP valid. Check it here!